The European Bank for Reconstruction and Development (EBRD) announced today that tender for the Vlora and Fier bypasses will be reopened. The Italian construction company Serenissima, which had won the tenders for an unrealistically low price, has declared bankruptcy. The Albanian government will use the remaining sum of its €48.8 million from the EBRD and the European Investment Bank to finish 22 km left of the Fier Bypass. The remaining part of the Vlora Bypass construction will be financed by the EU Delegation in Tirana and the European Investment Bank. The total costs of both projects are around €100 million. Fier Bypass (22 km), which links the axes Lushnja–Fier, Levan–Vlora, and Levan–Tepelena. Vlora Bypass (29 km), starting from the highway to Fier, passing through the villages Babica and Kanina above Vlora, connecting to the Orikum–Saranda road. Works are expected to restart in late 2017. The collapse of the Vlora Bypass project is yet another EU-sponsored infrastructural project going awry. Recently, a water supply and sewerage project financed by the EU in Ksamil led to massive economic and environmental damage, as flows of excrement covered the streets and seaside of tourist town Ksamil. In February, EU Ambassador Romana Vlahutin paid a visit to Vlora to inspect the progress on the Vlora Bypass. By then, Serenissima was already in serious financial problems. The EU Delegation in Tirana has a spotty history when it comes to supervising EU-financed infrastructural projects. The Italian company Serenissima Construzioni spa, which was supposed to build the Fier and Vlora Bypasses, has gone bankrupt. The Albanian government seized two working sites and had confiscated the pertinent documentation. In early April, the Road Authority (ARrSh) notified the company that if the working sites didn’t restart fully before April 6, the contracts would be unilaterally canceled. The work remained stalled and the government unilaterally canceled the contracts with the Italian company for both projects, on the basis of the long delays in the project. Serenissima won its first contract for the Fier Bypass in 2013, with work supposed to be finished in October 2017. Until April however, only a small part of the work had been actually finished. 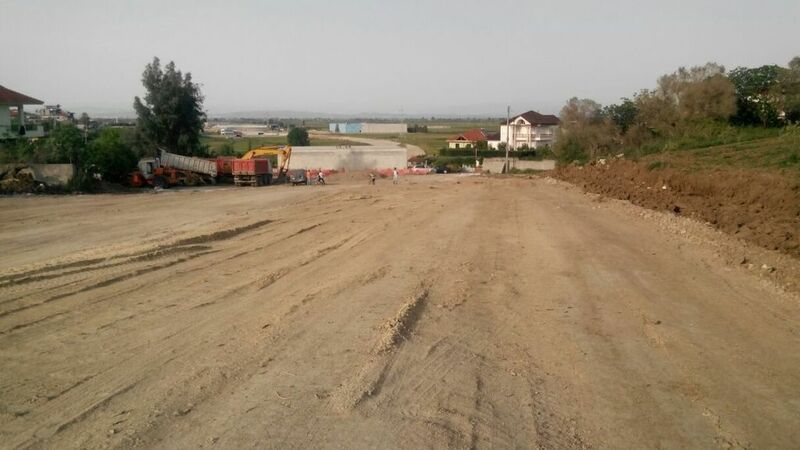 The Vlora Bypass remains in a similar situation after Serenissima won the contract in 2015. The Italian company entered the Albanian market in 2013 riding a wave of political and diplomatic support, winning two major contracts with a total value of €80 million. The way in which the company won both tenders caused much debate among Albanian construction firms, because Serenissima claimed it was able to do the work much cheaper than the maximum tender budget. The price offered by the company was even lower than the actual costs of the work. These extremely low bid and a suicidal policy toward its subcontractors led to a series of conflicts that blocked the work sites, bank accounts, and a general inability to complete any work on time. After a series of useless negotiations, in which even Italian politicians took part, the Albanian government decided to declare the contracts void. Meanwhile, the ownership of the company changed in September 2016. The only shareholder of Serenissima, the powerful company A4 Holding spa, was acquired by the largest private European highway management company, the Spanish firm Albertis. Albertis decided to sell Serenissima, which was bought for little money by an Italian entrepreneur, who failed to convince the Albanian government to let him finish the two main ring roads for Fier and Vlora, while the company was faced with lawsuits from several subcontractors demanding a total of €17 million. The Albanian creditors have declared that they will file a lawsuit against Serenissima’s previous owner, A4 Holding, for not properly supervising the implementation of the contracts. The entire situation once again shows that Albanian governments, under influence of foreign lobbyists and diplomats, entrust the construction of public works to fake foreign companies who come to Albania only to perform fake work.